This entry was posted in Roles & responsibilities on 2015/06/17 by Susan. The Roadside Workers Safety Kit is targeted at workers and employers who work where a certified traffic control person is not required. 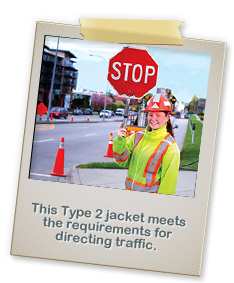 It also mandates “…traffic control equipment, arrangements and procedures must meet the requirements of the latest edition of The Traffic Control Manual” from the BC Ministry of Transportation and Infrastructure. “We have plenty of employers out there who are quite small in terms of size, including the number of workers they have,” says Mark Ordeman, WorkSafeBC manager in Industry and Labour Services. I called Mark for more details on this new info, released at the start of the 2015 Cone Zone Campaign kick-off. I wrote about this important campaign in my posts Slow down in the Cone Zone and Slow down and respect roadside workers. The Cone Zone is aimed at the driving public, reminding us to watch for road workers, follow their instructions, and slow down.